Every week, I plan a menu for the following week. I’m not always inspired with what to cook for dinner, so this way, I take the time and plan once and don’t have to wonder about it all week. Planning a menu has saves us SO much money, because I don’t wander aimlessly through the grocery aisles, grabbing whatever looks good or happens to be on sale. Before I started planning weekly menus, a lot of the groceries that I bought would spoil before I got around to using them. I also had to make numerous trips to the grocery store throughout the week, since I didn’t have one ingredient or another for a recipe. Of course when you go into the store ” just for milk”, somehow you mysteriously come out with several other items that you weren’t planning on. Less trips to the store= less money spent. 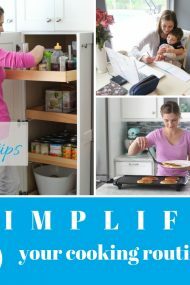 I wrote a little more in depth about menu planning and Saving Money on Groceries in another post. Since I am such a advocate of menu planning, I thought it would be fun to share my menu for the week with you. I would love to hear what you have planned to feed your families too:). Let’s share ideas with each other. Many times when I talk to my Mom or sisters and they tell me what they cooked that day, I start craving that dish and end up making it too in the next few days. It’s definitely easier to plan when you don’t do it alone. As a Russian proverb says, “two heads are better than one”. I don’t stick exactly to the plan, sometimes I switch dinners around from day to day. Other times, I decide to go with something else altogether. I don’t really have a set plan for breakfast, dessert or snacks. I usually have a few ideas that I shop for and make whenever I have a bit of time. If not, then we just eat ice cream or toast. What are you going to be cooking up this week? 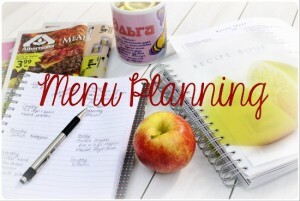 How do you plan your menus? this would be my menu Monday – Sunday : rustic chicken with carrots and onions everyday I’d just change it up with rice, mashed potatoes, and pasta to serve with. =) That’s how much I love it. went back to your menu and noticed we have some of the same entrees on our menus!!! Wow, we are making some of the same things! That’s so cool. Thanks for sharing your menu. I had stir fry last week too and a variation of paninis for breakfast this morning. I guess our tastes are very similar. We must have grown up in the same house:). My menu for this week is mostly Slavic homely food since my parents will be visiting and that is what they prefer to eat. 😉 I have made pelmeni, shuba. Tushana kartoshka with tomato sour cream salad is a must. Chebureki is on my menue as well. By the way I have used your mushroom sauce as gravy last night and it was a success with my in-laws. ( I did cubed chicken instead of pork ruletiki) For sure I will make it for my parents as well. I’m so glad you liked the gravy. Enjoy your visit. I have two kids, and both my husband and I work full time, so planning our menu for the week is a must! Sunday- I made Penne Pasta w/broccoli, cauliflower, chicken, and cherry tomatoes- was an absolute hit and is almost gone (recipe from say7.info), and also made Tomato Meatball Soup (this site). Tzatziki Potato Salad. Monday- Leftovers from Sunday cooking. Tuesday- Говядина, жаренная с болгарским перцем; Мясо, жаренное с грибами и морковью, either mashed potatoes or pasta to go along with it and a salad of course :). Wednesday-Куриный суп со “звездочками”, and leftovers from Tuesday. Thursday-Спагетти с грибным соусом + salad. Friday- my husband has the day off, so we’ll see what he comes up with. Saturday-Day of rest for us, so we’ll be eating any and all leftovers. 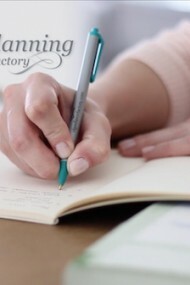 Right now planning a menu is SO important to me, since I work full time too and we have been in the midst of a mountain of paperwork for our adoption. It takes so much time, I’m always thankful when I don’t have to think about what to cook that day. Your menu sounds delicious! I think it’s so interesting to see each others’ menus. We Slavic people sure do cook a lot of similar food:) Thanks for sharing your menu. Those recipes sound great! I’ll have to look them up and give them a try. Good luck with homeschooling:). Homeschooling moms are my heroes. Good for you! Friday- Garlic challah bread, couscous salad, rebneye kotlete v tamate, zapichonaya kuritsa s kartoshkay i gribami. I love Russian food and this is mostly what we eat in our family all the time. Thanks for sharing your great ideas and recipes with us. Thanks for sharing your menu, Natasha! You’re making me crave Plov and the Roasted Chicken with potatoes and mushrooms. Yummy! You’re right, Elina’s menu is delicious. She is a great cook:) She’s shared a few recipes for my blog already, and I’m looking to the others that I’ll “borrow” from her in the future. She would do a great job on a blog, I’m sure. She’s also a great photographer, and gives me many tips. Welcome Felicia! And a big thanks to Natasha:). Thanks for sharing your menu. It looks very tasty. I would love to try the Potato Chickpea Masala and Noodles With Peanut Sauce. Everything else sounds yummy too. make me want to try the “Rustic Chicken” What time do you go to church on Sundays? Do you make it on Saturday night and reheat it or prep it ahead of time or make it after church? Sundays are hard for us. we normally go out to eat since Church is over around lunch time…. You’re having LOBSTERS! How cool is that? Now I want some too:). I might just change my mind and grill hamburgers on Saturday too. Our church on Sundays starts at 1, so we usually have a really leisurely breakfast and aren’t too famished after church, so I make the Rustic Chicken Dinner after we come home. You could probably make it ahead of time, though. Sundays are awesome. They really are a “day of rest”, most of the time, anyway, since we don’t have to get up really early and can relax in the mornings. 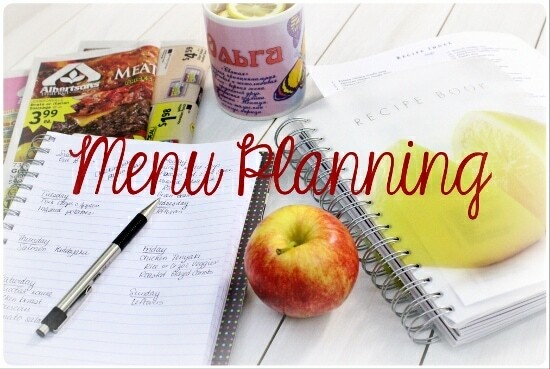 I dont plan out menu because I like to plan for meals just a day or so in advance. *Also zucchini banana bread, I am very impressed with zucchini bread… so light and fluffy, didnt expect it that way. Your chocolate croissants look so yummy. I’m planning on making something sweet this week too, just haven’t decided what. Tuna sandwiches are great. I like to make those when we go to the beach. We have to watch out for the seagulls though :).